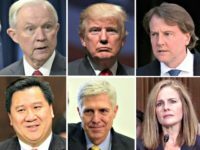 President Donald Trump released his ninth wave of judicial nominees before Christmas, nominating ten lawyers for federal courts throughout the country. Senate Republicans delivered a series of victories to President Donald Trump this week, confirming four federal appeals judges and two trial judges, with more expected soon. 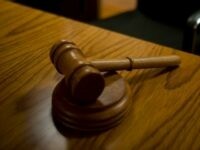 Senate Republicans confirmed one federal judge on Thursday and set the stage to confirm five more judges next week, including to federal appeals courts across the nation. 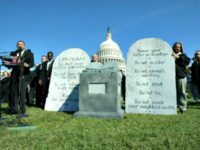 The Supreme Court on Monday denied review in a major constitutional case involving a Ten Commandments display, leading experts to speculate as to when the Court will take on the “big one” on what the Constitution requires regarding faith in the public square. 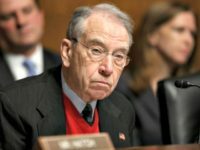 Democrats are trying to resurrect their unprecedented filibuster of judicial nominees through the blue slip tradition, but Senate Judiciary Committee Chairman Chuck Grassley (R-IA) has the power to stop this obstruction. 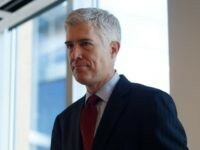 With Tenth Circuit Court of Appeals Judge Neil Gorsuch confirmed to replace Antonin Scalia as a Justice of Supreme Court of the United States (SCOTUS), he may immediately have an impact on a Second Amendment case from California, plus a long docket of government authority cases.